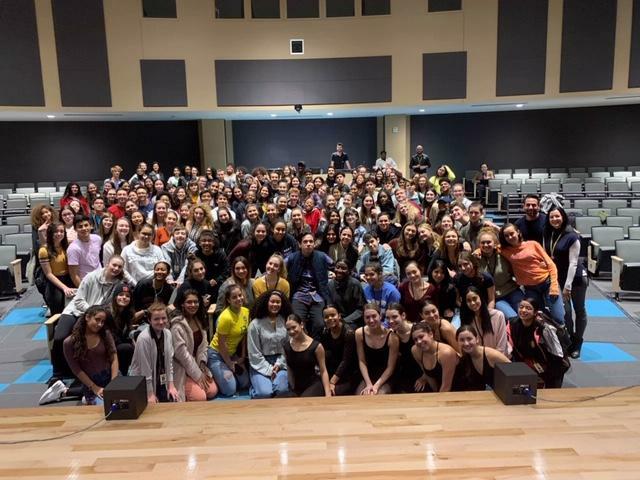 (Secaucus, NJ–January 24, 2019) To coincide with the Musical Theatre fundraiser “Hamiltunes,” Broadway actor, singer, dancer, and choreographer Jon Rua paid a visit to the High Tech Performing Arts Department, announced Dr. Joseph Giammarella, Principal of High Tech High School. The Main Stage Theater at the Frank J. Gargiulo Campus served as the backdrop for an Inside the Actors Studio-style conversation. 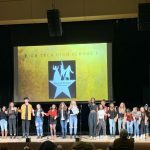 John Zisa, High Tech’s Director of Musical Theater, sat with Rua to discuss such topics as Rua’s upbringing, introduction to the arts, and his career path that led him to the eponymous role in the Broadway phenomenon Hamilton. High Tech Performing Arts students also had the rare opportunity to put questions to Rua. 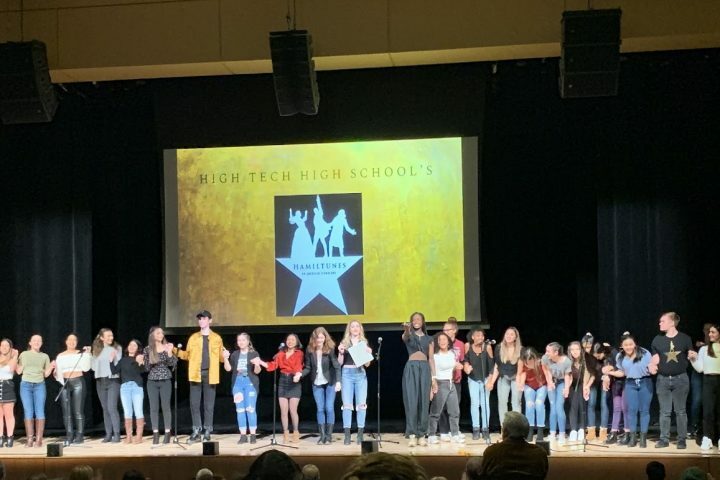 At the end of the conversation, High Tech Musical Theatre and High Tech Dance majors performed a piece from Hamilton, even receiving feedback directly from Rua. Not surprisingly, Rua’s biography and expertise proved inspirational to the students and staff in the Performing Arts Department. 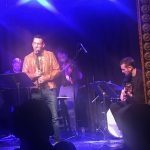 His resilience, persistence, and dedication to his craft always radiated during his visit, and his messages of self-empowerment and staying true to oneself resonated deeply with everyone in attendance. In addition to originating the role of Charles Lee, before essaying the doomed Founding Father in Hamilton, Rua has three other Broadway credits under his belt. He originated the role of Patchy the Pirate in the 12-time Tony-nominated Spongebob Squarepants. Additional Broadway credits include Hands on a Hardbody and In the Heights. Rua also has choreographed and danced backup for Mariah Carey and the rock band Phish.